Otoplasty is correction of ears asymmetry, elimination of everted ears, partial or complete reconstruction of the ears. The procedure can be carried out for both adults and children. Minimum age of the child is 6 years. The procedure is presented in several forms that vary in complexity, duration and cost. First one is the aesthetic plastic, the most common, simple and affordable procedure. Second one is the reconstructive plasty type that involves restoring the integrity and shape of the ears after injury or disease. It is a more complicated and expensive procedure. Otoplasty is contraindicated during pregnancy and lactation, diabetes, diseases of the pulmonary and cardiovascular system, acute inflammatory processes in the area of intervention. The small swelling, slight pain and reduced sensitivity are present immediately after surgery. In rare cases there may be a manifestation of asymmetry and protruding of one or both ears. Before the procedure, the patient is undergoing tests and submits analyzes. Otoplasty begins with marking of the correction area on the outside of the ears. Next the shaped cut is performed, followed by removal of excess tissue, which allows to change size, adjust the shape or eliminate everted ears. Next the cosmetic seam is applied and elastic bandage is put on. Within a week after the operation should be changed regularly sterile bandages. Also wearing of the compression bandages is necessary during the rehabilitation period: during the first week within 24 hours, and for 2 after that only at the night. It is necessary to limit physical activities for 3 weeks. After the procedure the ears obtain neat, natural form, do not break the proportions of the head and are arranged symmetrically with respect to each other. You can see the result, on the photos of our patients before and after the procedure, and you can learn more from the comments in the "Review" section. Basic price of the procedure is shown in the "Our Prices" section. You should consult with our specialist in order to know the details regarding how much the correction will cost in your case. 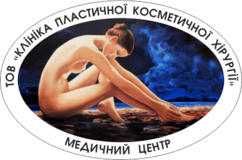 "Clinic of Plastic and Cosmetic Surgery" (Poltava) Medical Center LLC guarantees high quality service. Before the operation, our specialists will make a complete picture of your expectations, exclude contraindications and give the recommendations necessary to obtain the result you're expecting. Nov. 24, 2015, 2:12 p.m. Recently did otoplasty, I really want to thank Nikita Ilyich, nurse Victoria, Lydia Petrovna,for the high professionalism, You have realized my dream!))) I wish you good health, prosperity and well-being in all Your Affairs!